Contact us on 0141 771 7749 for information on replacement parts. Please note: this product is now obsolete. Contact us on 0141 771 7749 for information on replacement parts. This particular lung demand valve from MSA Safety is an LA 88-N which means it is a normal pressure lung governed demand valve. This particular version of the LDV is especially small and is light in weight. It has a handwheel connection to allow compatibility with masks according to EN148-1. The air flow is controlled by a servo-control. 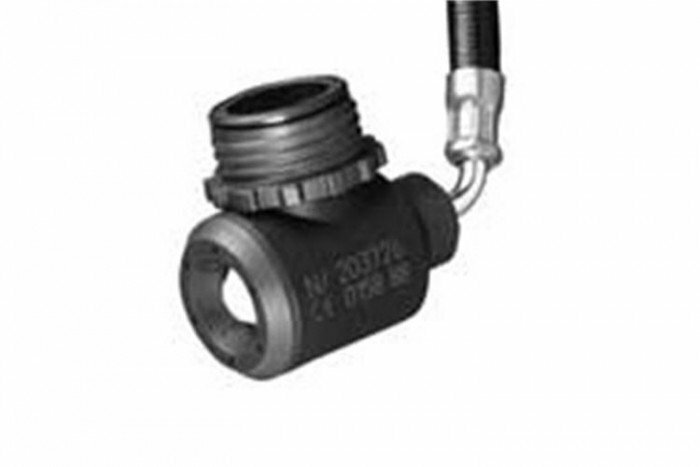 The LA 88-N also features a medium pressure line with a swivel feature. This feature means that the LDV adjusts well to head movement and does not restrict any other movement of the user. The LDV range have the ability to supply as much air as required during inhalation which has its economic advantages as air consumption is not wasted. This makes is suitable for a cascade system of cylinders. The LA 83 lung demand valve is an alternative product to the LA-88 with the only difference being it features a solid metal housing. This product is also available on the Frontline Safety website - click here to buy.